What with working away and being away a few weekends in a row… I haven’t done food prep Sunday for a while, but I’m back on it. Easy peasy, half an hour spent tonight prepping some of my food for tomorrow and the week ahead. 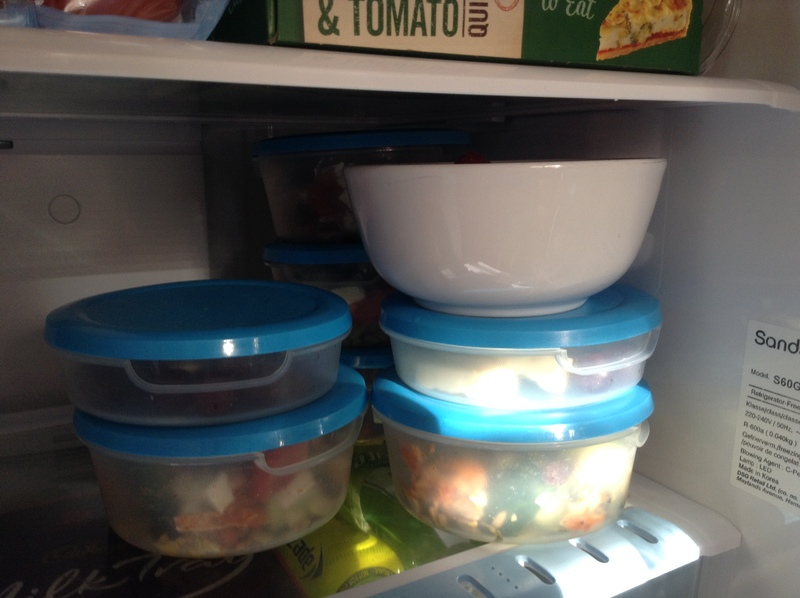 I may be running short on Tupperware… I’ve got just enough to keep me going. – 1 banana, 40g peanut butter, heated in a microwave for 40 secs then mixed together. 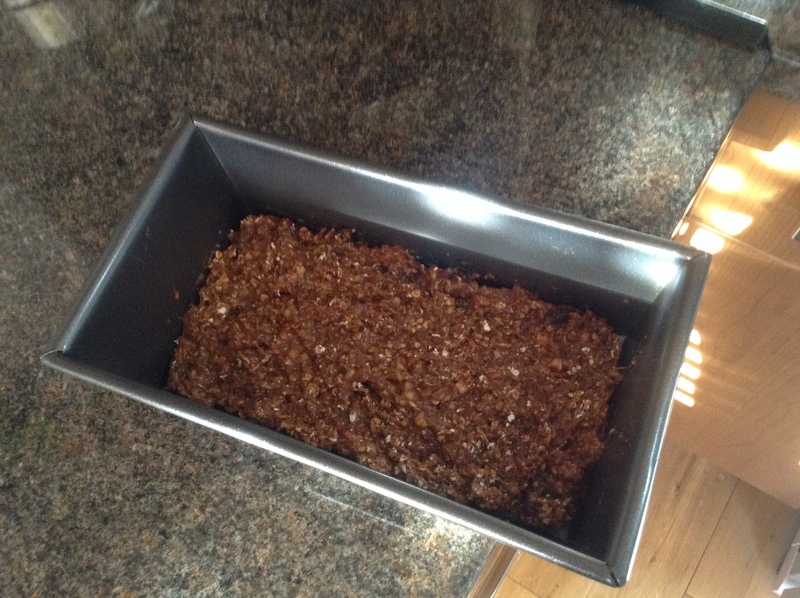 – Then 30g raisins, 80g oats, 60g choc protein powder. – Flattened put into a cake tin and chilled before being split into 15 bite size pieces (3 for each day = a snack. 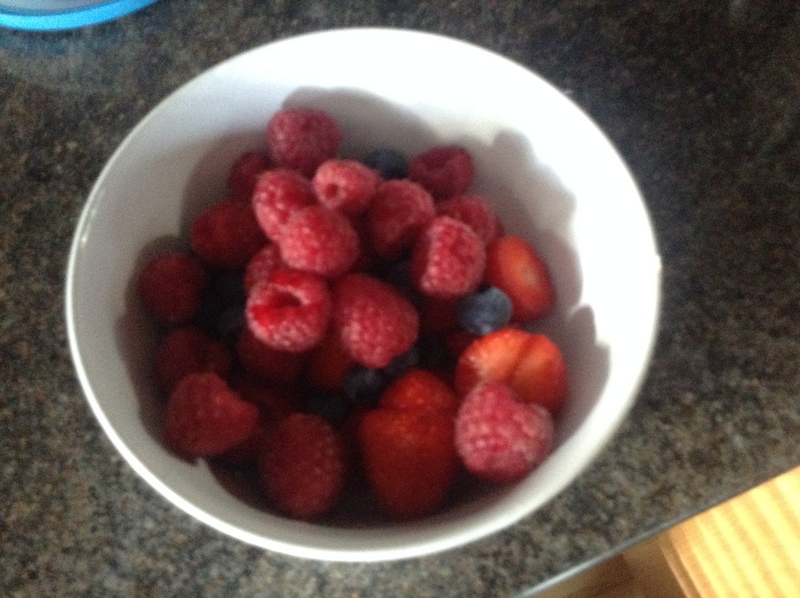 Breakfast will be berries: strawberries, raspberries, blue berries. 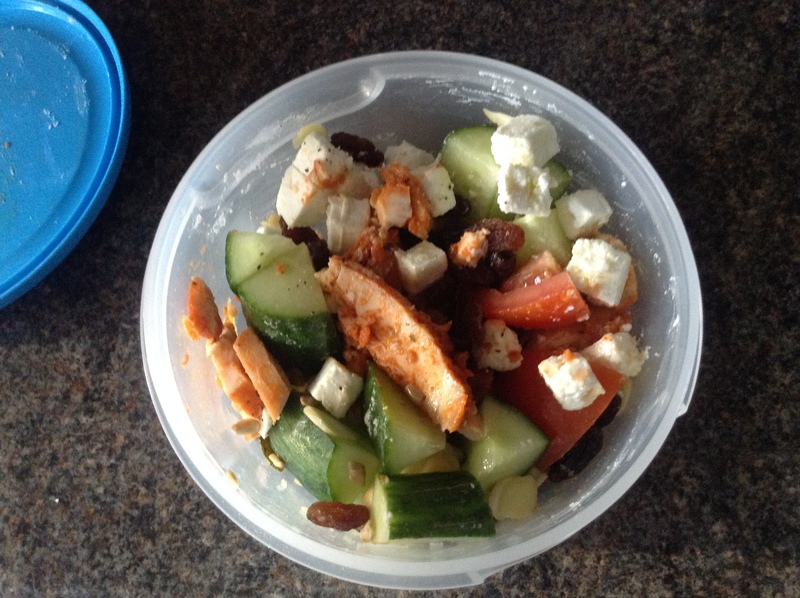 Sunflower seeds, flaked almonds, cucumber, tomato, chicken, Greek feta cheese, raisins, salt and pepper and some olive oil. That’ll do. 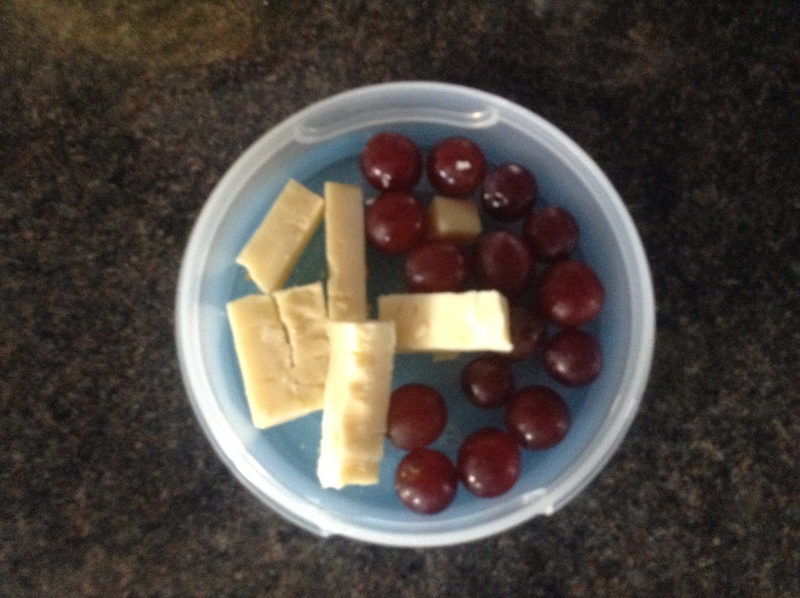 And my other snack of my day will be red grapes and cathedral city cheese. Yum. Breakfast: berries, Greek yoghurt mix & black coffee. Lunch: Chicken salad box & some nuts for after. Ps: here’s a pic from the Sunday Social (check the group out on Facebook). 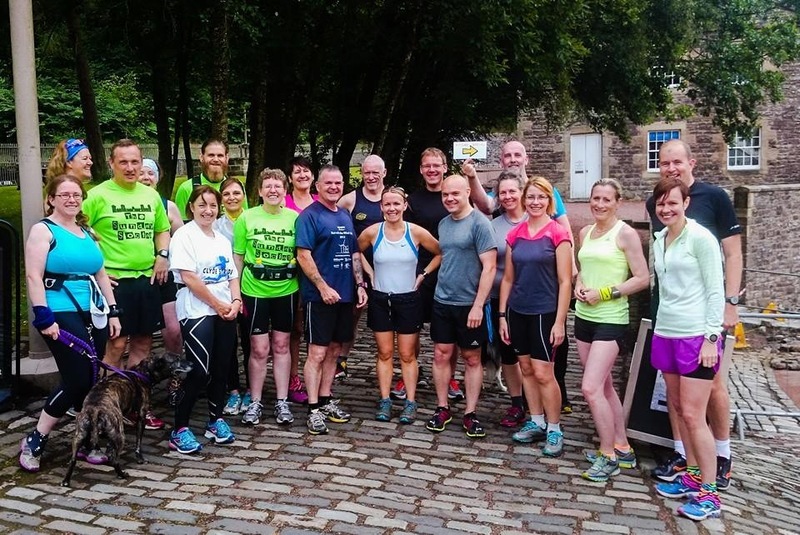 I ran with my fellow 10k 50 min pacer Clare Barr who’s a nice lass. 🙂 good chat and a nice hour trail run. Only bad bits were the wee nettle stings I got a few times! Oucho.